As a recent college graduate, I’ve had a lot on my mind; about the future, about finally being down with this part of my life and ready to move onto the next adventure, and about the uncertainties of where to go from here. One might even venture to say that I’m heading off to a New World. Waiting is something we all do in our lives and to some (like me), it can be quite insufferable at times. In fact, many Christians find themselves in a constant struggle with God over wanting to do things now instead of having to wait. Or rather, we don’t see why we have to wait. As someone who has been reading/watching One Piece since I was 10 years old, I find that a lot of elements in the series will come back and relate to my life somehow or teach me some lesson (as a lot of anime will). Despite its Shounen genre feel of “Never give up and achieve your dreams, yeah!” which is greatly uplifting, things are not always great for the StrawHat crew in the series and like in life, there are painful loses. There is a point about 500 episodes into the series that One Piece fans refer to as the Time Skip. 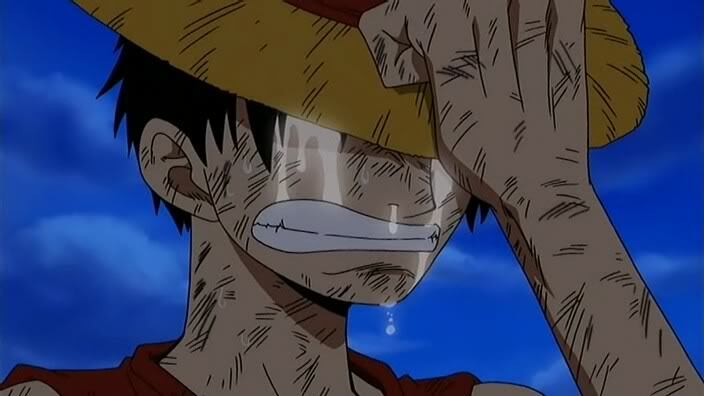 It’s a period of two years where the main character, Luffy, confident in his abilities to always win, finds himself out of options; his crew separated across the ocean, someone dear to him dead, and a battle and many other lives lost. He cannot move forward the way he is now, as much as he wants to. 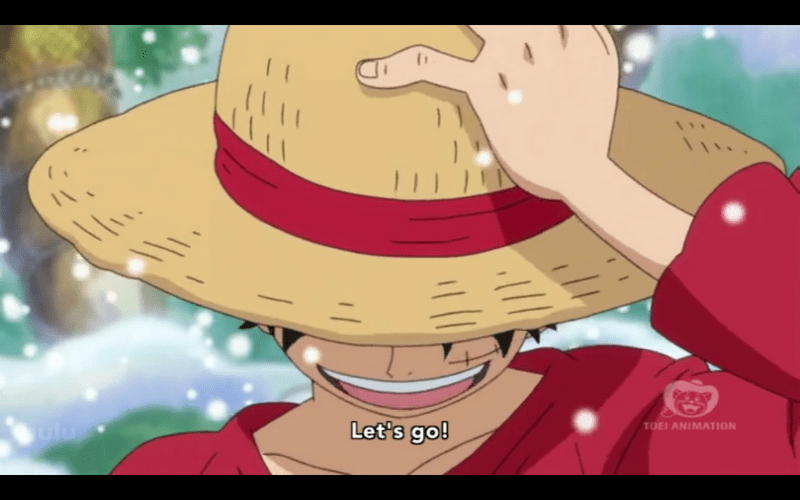 Therefore, he is offered a proposition by Silvers Rayleigh (former first mate to Gol D. Roger and really the old mentor type of character) to pause his adventure and train for two years; become stronger, and then meet up with the rest of his crew to continue on to the next leg of their journey; a sea appropriately called “The New World”. 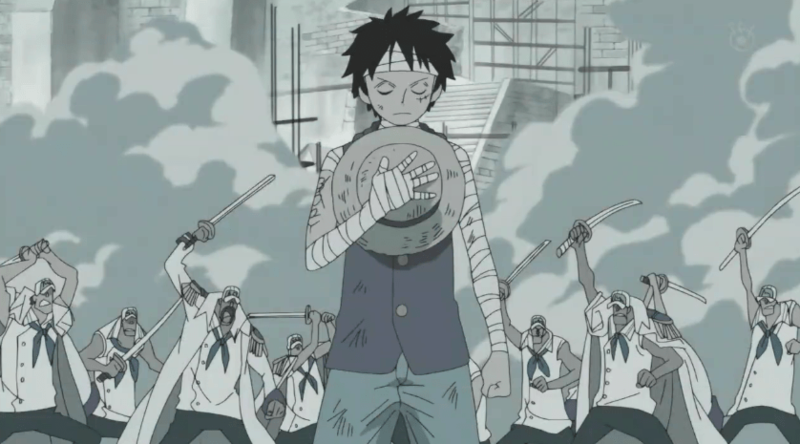 Through a press photo taken of Luffy and the famous “2Y” (with the crossed out 3D) marked on his arm, the rest of his crew learns of his plan to take a pause in their journey and become stronger, and they follow suit even though they are separated across seas. But now that it’s over, I’m ready to head off into a new world. It’s exciting and scary. It’s like waiting so long for something, and when you finally get it, the whole thing feels very surreal. So, don’t be afraid of not getting what you want now, or not being able to go where you want to now. You may need that “TimeSkip” to become stronger and be able to support yourself and those around you on the next leg of your adventure in life. Always strive to achieve your dreams, but don’t be afraid to take a pause and get yourself reoriented. This post is a good read for me right now; it fits with some things I’ve been pondering myself. I just finished my first year of college, after taking a year off of school, so I’d say I’m near the beginning of my “time skip.” That year off was a time skip itself; I couldn’t move forward with my education, let alone bigger life goals, until I had some time to realign myself. I thought my pause was over, but it looks like it will continue. I still feel like I can’t do much with my current skill and confidence levels, and I’m not even sure what I’m majoring in anymore. I’m along for the ride in a great adventure, and trying to accept the fact that I don’t know where God’s taking me. Sometimes, it feels like my ship is in the doldrums, but when the fog clears, I find He’s led me quite a distance. This post actually makes me want to pick One Piece up again… I stalled around the 200th episode, I think, but I’m not sure. What you described in this post, along with the fights and determination and fun that make classic shounen anime so appealing, is almost enough for me to forget about the One Piece characters I found so annoying last time I watched. Is one piece safe to watch? I’m worried because of the character Brook. Previous Post Let’s Video Chat! Haibane Renmei Online Small Group Beginning Soon!